Taipei, July 6 (CNA) Taiwan will not work with China to resolve the dispute over the Diaoyutai Islands, Foreign Minister Timothy Yang said Friday, after Japanese authorities demanded earlier in the week that a Taiwanese fishing boat leave waters around the islands. "Since the issue involves national interest, we have our own position," Yang said in an interview after attending a swearing-in ceremony for diplomats to be stationed abroad. Yang's remark came as China's foreign ministry said recently that safeguarding the sovereignty of the Diaoyutais is the responsibility of both Taiwan and China. 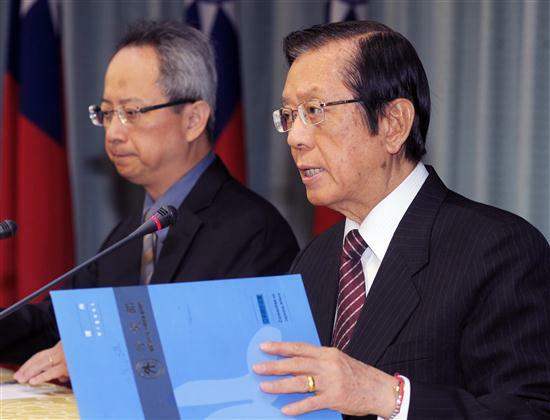 "The Diaoyutais are an inherent territory of the Republic of China (Taiwan) and we have not changed our stance," he said. The minister also called on Japan to "not create unnecessary controversies that might affect the peace and stability in the region." On July 4, a Taiwanese boat carrying activists entered waters off the disputed island chain. It was spotted and told to leave by Japanese coastal patrol boats. Following the incident, the Japan Interchange Association, which represents Japan's interests in Taiwan in the absence of formal diplomatic ties, filed the protest with Taiwan that was rejected by the foreign ministry. The Diaoyutai Islands are known as the Diaoyutai Islands in China and the Senkaku Islands in Japan. Both countries also claim sovereignty over the island group in the East China Sea.